A mom's Tweet is making us all laugh and smile after her kid managed to not break any rules and still get what he wanted. "Food isn't allowed in the living room," Disney Mom wrote. 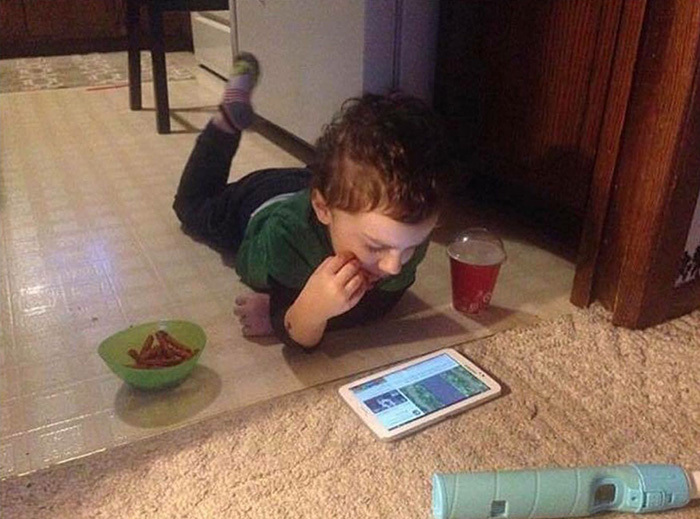 "His tablet isn't allowed in the kitchen. He beat the system. I quit." Nearly everyone on social media admits the kid is a genius. "That kid could grow up to be a lawyer, he's so good at finding loopholes," someone commented. "I wouldn't have figured this out and I'm in my mid 30s," another replied. "I see this as a parenting success in every possible way," Kevin Miller wrote.